How Far is AK Maxx Classic Village? AK Maxx Classic Village, a residential concept of community living, is a widely spread residential project by the AK Maxx Properties. AK Maxx Properties is India's premier real estate and infrastructure development company. AK Maxx Classic Village is located at Kuduregere, Near Acharya College, Tumkur Road, Near Peenya Industrial Area, Bangalore; offering a blessed nature friendly lifestyle in the heart of the City. 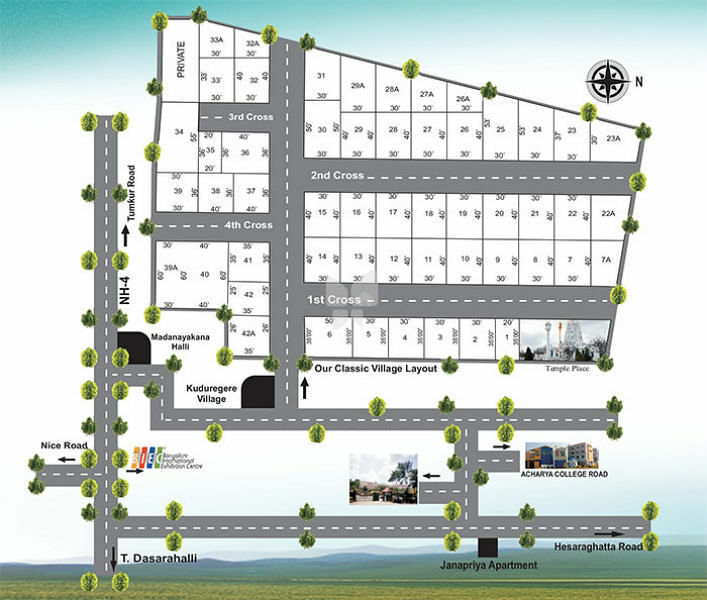 AK Maxx Classic Village is offering a beautiful lifestyle with a herd of amenities.